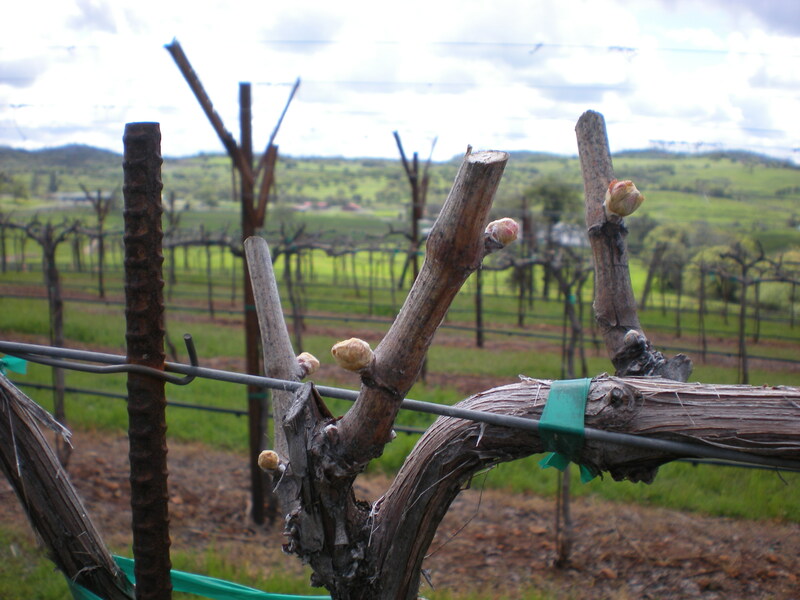 As the weather warms, the vines begin to wake up from their dormancy and we begin to look for signs of bud break. 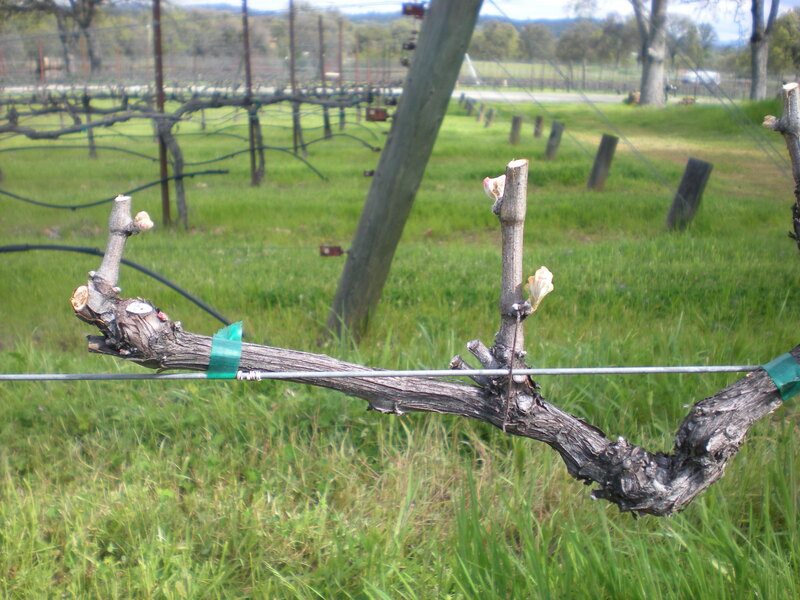 The vines first produce buds that swell until the shoots are finally able to “break” through to begin their vegetative growth cycle. This is the starting point of the most dramatic growth period of the vine. Bud break typically occurs late winter to early spring. Just as in the ripening of the grapes, when bud break occurs depends on the varietal- some on the early side and some on the late. Temperature is the main factor in when bud break occurs, the warmer the weather is earlier on, the earlier bud break will occur. With all of the lovely, warm days we have been enjoying, we are expecting bud break to be a few weeks earlier than normal. Some vineyards in the district have already started bud break and if the weather continues, we expect to see it at Naggiar, especially in the newly planted Barbera and younger vines, in the next 10 days. 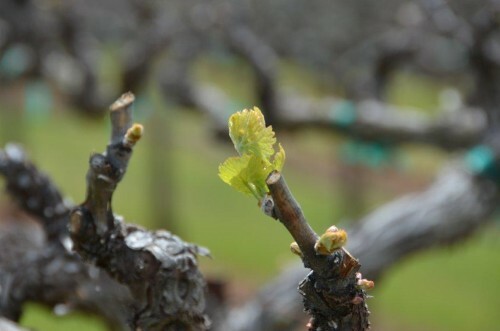 While it is exciting to finally begin the process again, it can be a time of anxiety, especially when the bud break occurs on the early side, due to the threat of frost. Frost on the new vulnerable shoots actually creates a “freezer burn” type of effect. The worst case scenario during a hard frost is that it burns the entire new shoot so that the vine will not produce any grapes for that year as well as affecting the following year’s yield. Even moderate damage can affect the yield for that year, by causing uneven growth of the vines. There are ways to minimize the damage caused by Jack Frost. In areas such as the Napa Valley, they have wind machines to circulate the air to raise the temperature around the vines. Here at Naggiar we have overhead sprinklers systems- these coat the vines in water that freezes and acts as insulation from the low temperatures-like an igloo. Of course, sometimes the temperatures go so low, nothing can prevent damage, but these types of challenges are what farmers of all types face in a given year. So keep your fingers crossed for mild overnight temperatures!